Whether we want it or not, Sekiro: Shadows Die Twice does not have an “easy mode.” That super tough boss is simply going to be super tough, and you just have to gain the personal skills to get through it or hang your head in defeat and walk away. Many would also argue that challenge is the point of the game, but we’re not here right now to discuss the merits of difficulty, accessibility, and whether or not Sekiro needs an easy mode. 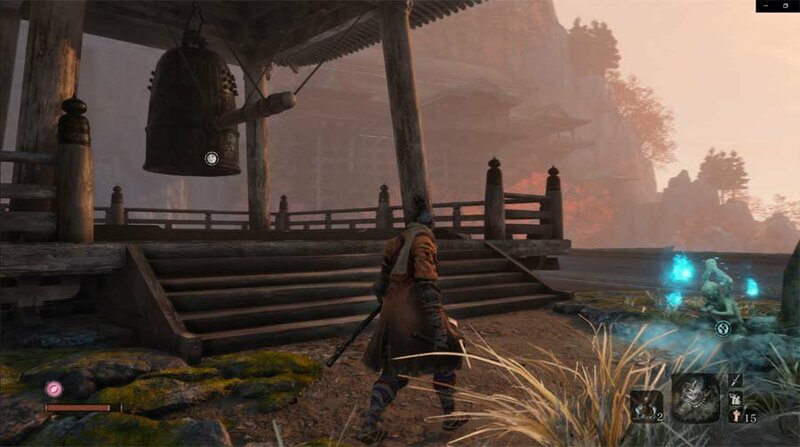 In fact, did you know that the regular game basically is Sekiro easy mode, and there’s a way to activate a harder difficulty, if you’re up for an added challenge? 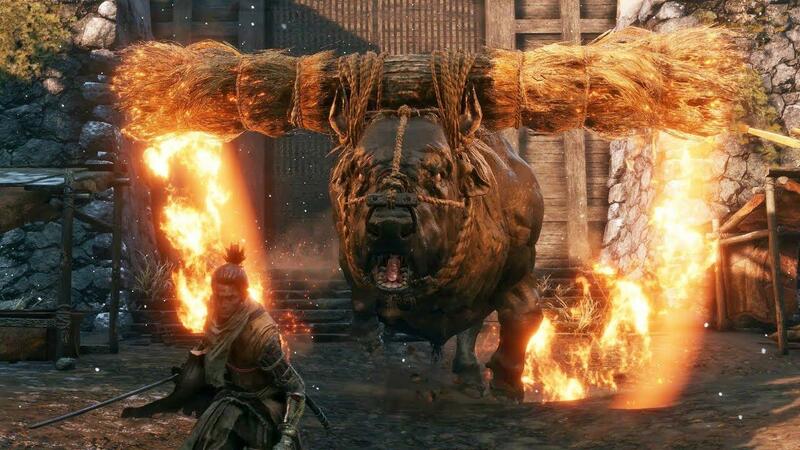 To make Sekiro even harder, you’ll need to have the Bell Demon in your inventory. While possessed by the Bell Demon, you become affected by the Sinister Burden, which makes all encounters more difficult, but increases the rewards you get from beating them. To find the Bell Demon, you need to first find the Bell Demon’s Shrine, which can be found on the path to the Senpou Temple. There are a couple of ways to get to the shrine, as the game world’s paths cross over each other. The earliest time you can get to the Bell Demon’s Shrine is in the Ashina Outskirts, just before jumping down to the canyon where you encounter the enormous white snake for the first time. At the Underbridge Valley’s Sculptor’s Idol, turn around and head back towards the Ashina Outskirts, keeping left around the fortress wall. You’ll come to a small shrine on a wooden platform with a note warning you about danger ahead (Souls Easter egg, anyone?). Head around behind the shrine to the edge of the platform and look for a ledge on the cliff that you can jump to and grab. From there, work your way around the cliff edge until you reach the cave opening below. Make your way carefully through the cave. There’s an enemy called Headless down here that is pretty much impossible to kill early on (and still plenty difficult in later stages of the game. When you reach the room with the headless, move left along the wall and keep an eye for a pathway leading out of this room. Follow it to the end of the path and use the door here to emerge near a path that leads directly to the Bell Demon’s Shrine. Alternatively, when you get to the big bridge with the armored knight enemy, look left of the bridge. From here you can make your way down along a series of grapples and cliffs which will eventually lead up to the shrine where you can make everything harder for yourself. Once you reach the shrine, ring the bell and you’ll get the Bell Demon. Don’t worry though. It’s super easy to get rid of if you find that “harder than hard” difficulty mode is too much for you. Simply use the Bell Demon item from your inventory and the curse will vanish, bringing enemies back down to “regular old hard” difficulty mode. If you want to get the Bell Demon back again, simply fast travel to the Sculptor’s Idol for the Bell Demon’s Shrine and ring the ol’ bell once again. Of course, beating the game and restarting on New Game+ is another way to make things harder on yourself, but here at least you have the added benefit of continue to increase your own stats and skills along with the difficulty increase. Kuro’s charm you get early in the game also enables a sort of “easy mode,” and declining to take it will make things even more difficult (thanks to GameSpot for this additional information). So while there may not be a Sekiro easy mode, there are plenty of ways to make the game even more difficult if the existing challenge isn’t enough.